If you've made the big decision to buy an RV, doing your due diligence means research, research, research. Just like when you are getting ready to buy a new car, it's in your best interest to make comparisons on price, value for the money, quality, reliability, and specifications. And just like when you are looking for new digs, the floor plan and how it feels to you are important to your continued satisfaction with your purchase. An RV is a significant and expensive buy, and just like with cars and houses, you really want to avoid buyer's remorse. Doing your homework before you buy makes that a lot less likely. Here are some places to start your search for everything you need to know before you buy. This website compiles user reviews for most RV manufacturers/brands. You can use the search tool or click on the brands you're considering from the provided list. For example, if you click on Jayco, you find star ratings and reviews for 35 Jayco RV models. On the same page, you will find links to dealers that sell Jayco RVs. User reviews are helpful, but you are wise to take them with a large grain of salt since you don't know the reviewers and what their personal likes and dislikes might be -- where they are coming from, in other words. But if there are several reviews that all come to similar conclusions, that could carry a certain amount of weight. RVReviews.net is the website of a research firm that focuses on RV manufacturers. It produces guides (real books) that help you make comparisons among the RVs you are considering. While all the information in the guides is not published on the site (they want to sell the books), there are links that let you know what the guides contain and by reading those you learn what's important to consider when you buy an RV. 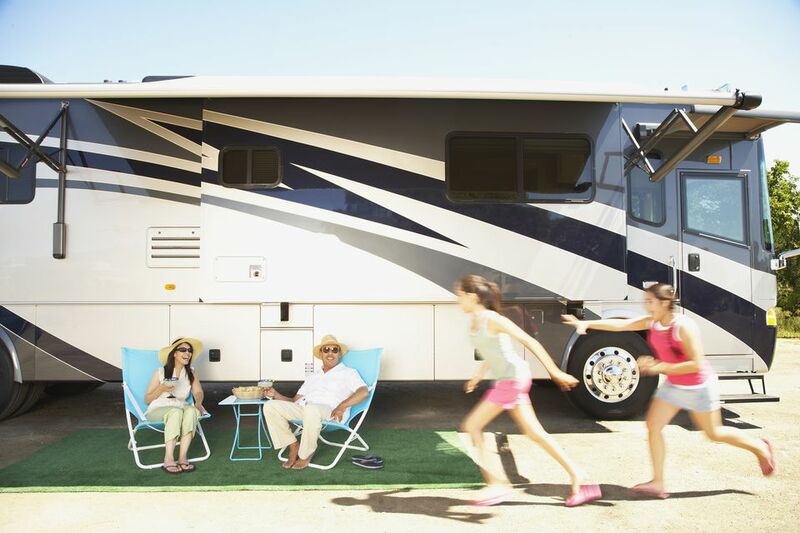 The guides cover all manufacturers of A, B, B+ and C motorhomes -- that's more than 45 brands. These guides are an excellent resource for someone who wants to really dig deeply into checking out all the RV possibilities. Motorhome.com is the website for MotorHome Magazine, and it includes long and detailed non-user reviews by the magazine staff that includes photos, floor plans, specifications, and contact links for the manufacturer. This is an all-around excellent resource for anyone looking for a motorhome. Sort of like the Car and Driver of RVs. The website also has sections on RV parks, national parks, a listing of RVs for sale, and a user forum. This website, which covers a broad range of items, is a useful entry point for those looking to buy an RV. Its coverage, written by an expert on RVs, provides an overview of changes from previous years, compares new models, talks about trends, and compares prices. It's a great place to start the research that might lead you to specific "must-haves" or "don't likes" before you get down deciding which specific brand and model you want.